Z Tour 3+ irons 3-PW ...looks and plays like the new Ping i3 Plus irons... 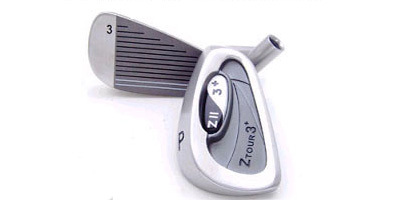 The Z Tour 3+ iron is the newest iron in our Z Tour III line of clubs! The all new iron incorporates a larger perimeter weighting system and an inproved bounce and leading edge. The is results in improved consistency and movement through turf and grass. The progressive offset will ensure the proper trajectory with the long irons and make the short irons easier to align. The thermoplastic insert will help with unwanted vibrations.